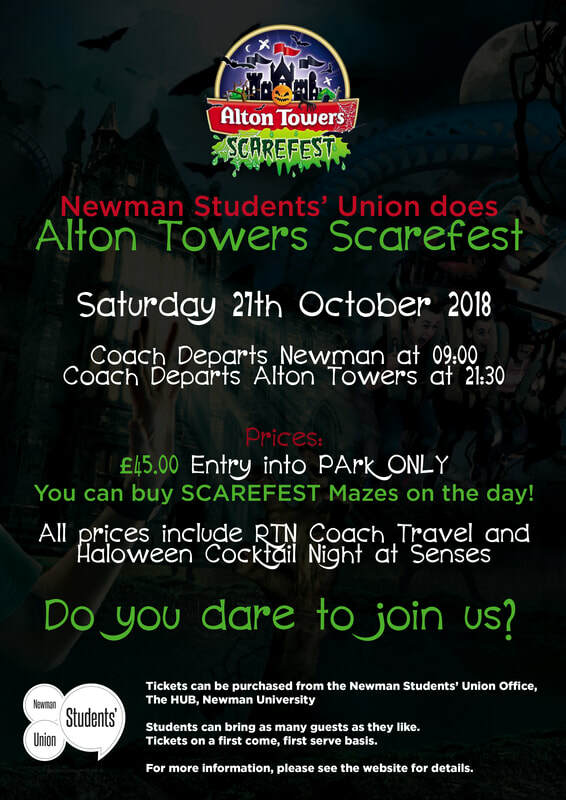 This year the Students' Union are taking you to Scarefest! Scarefest is one of the UK's biggest Halloween attractions, with Scare mazes, live actors and the opportunity to ride your favourite Alton Towers attractions in the dark! All for the bargain price of £45! Come and see us in our new office today for your ticket!